I recently had a question from a customer – they had deployed a dashboard to their Tableau Server and when they viewed it via a browser they found the map would initially render with a blank background but when they filtered the data the background would magically appear. Furthermore, some views with maps would render fine but on others the data points were there but no background. The issue turned out to be an interesting result of the way map tile requests are handled in 8.2. In Tableau Server we will use either client-side rendering or server-side rendering depending on the complexity of the view. If the view is “simple” then we will use client-side rendering but if the view is “complex” then we will use server-side rendering. This is discussed here in our documentation and it points out that one of the key factors in complexity is the number of marks being displayed. For this customer, when they initially looked at their dashboard the complexity factor was high and the platform was defaulting to use server-side rendering. When server-side rendering occurs, the requests to the map tile service are made by the VizQL service under the context of the server run-as user. Their Tableau Server was not configured correctly and it could not access the map tile service. This meant that the server couldn’t retrieve the map background and so the server rendered the blank map background. When they filtered the dashboard this reduced the number of marks and dropped the complexity factor below the threshold allowing client-side rendering to occur. 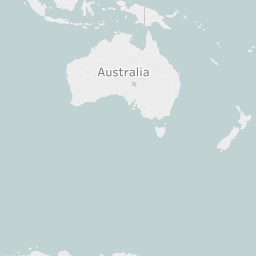 With client-side rendering the requests for map tiles now come from the client browser instead of the server (new behaviour in Tableau 8.2) and this access path was working fine. This also explained why some other simple views worked OK while complex views failed to show the map tiles. If you see something like this happening in your environment consider where the map tile requests originate and check to see that the map tile service is accessible. You can use this link to check the service is reachable.